The NOAA K, L and M POES satellites begin the fifth generation of improved environmental monitoring in support of NOAA missions. The instrument payload has significant improvements and additions/deletions. The instrument changes have effected the spacecraft subsystems and data formats. 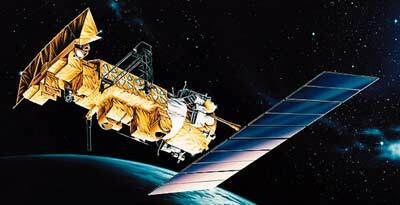 The NOAA KLM satellites include improvements to instruments that are evolutionary and significant. The initial concept was to add more passive microwave instruments and channels in place of the four channel Microwave Sounding Unit (MSU) and the three channel Stratospheric Sounding Unit (SSU). During the satellite system design process, it became evident that the increased size, fields of view, and power requirements for the new instruments would have significant impacts on the spacecraft power, data handling, and attitude control systems. The NOAA KLM spacecraft are significantly heavier than previous spacecraft (2231.7 kg versus 1712.3 kg) and require a more powerful Apogee Kick Motor (AKM) solid rocket booster and expendable launch vehicle, Titan-2(23)G Star-37XFP-ISS, to obtain orbit. Combined with command system security and frequency changes, NOAA KLM satellites look very much like previous satellites to the casual observer, but have significant changes to essentially every subsystem. To meet the increased power requirements, two additional solar panels have been added and the solar array has about 45% more output. The batteries, propulsion tank capacity, the size of the reaction wheels and magnetic coils used for momentum unloading and attitude control have also increased in capacity. The spacecraft structure has been stiffened primarily to support the heavier AMSU instruments and improve launch vehicle load margins. Several antennas have been relocated and/or built with new materials and processes to improve performance. Flight computer memory has been doubled and the flight software modified to meet new requirements. NOAA 16 was decommissioned 9 June 2014 after a critical anomaly. On 23 November 2015, it apparently suffered a break-up event.